Only the perennial species paniculata is on the Alberta Weed Control Act and is implicated in rangeland invasion. 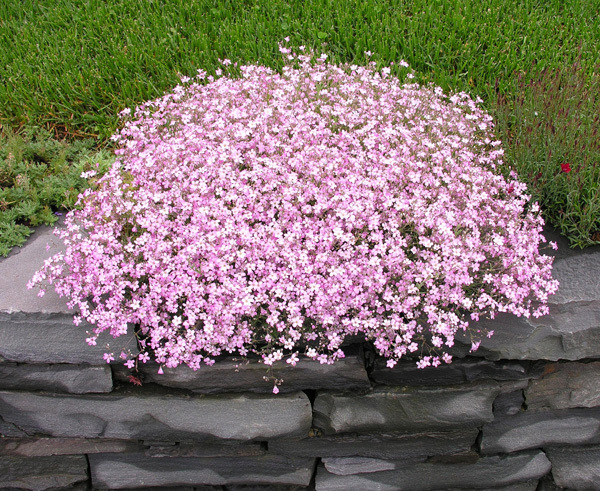 So other Baby's Breath and those ornamentals with a similar effect in the landscape are great alternatives. Filigran Russian Sage - one of my favorite landscape plants. Looks great in the fall. Good combination with Rudbeckias, Karl Foerester, and Lythrums. 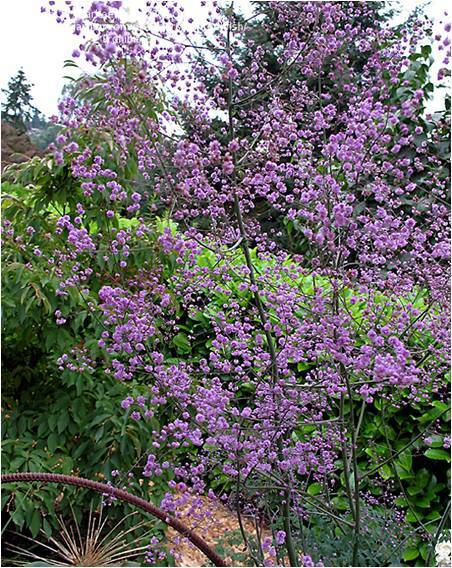 Great in massed plantings. 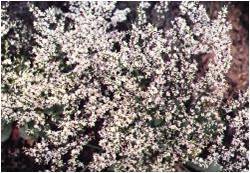 Rosea Creeping Baby's Breath - a perennial, not on weed lists, less prone to tumble. Still, remember to cut off in the fall, bag and dispose in landfill. White Creeping Baby's Breath - a perennial, not on weed lists, less prone to tumble. Still, remember to cut off in the fall, bag and dispose in landfill. German Statice - almost a look a like for baby's breath, but smaller head and no strong fragrance.